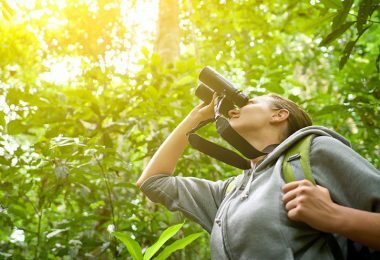 Hunting and scouting without a reliable camera may not be a successful outdoor activity to pursue. One needs not only a reliable but a cost-efficient camera that packs a lot of basic features that will efficiently capture crisp images at longer ranges. The Moultrie Game Spy A-5 Gen 2 Low Glow 5.0 MP Camera is the ideal for anyone seeking a game camera that will not break the bank balance. It’s an improvement from the ground up of its predecessors in the same range. Moultrie’s brand is not new to many outdoor hobbyists. It’s now synonymous with not only outdoor products of top-notch quality, but also the most dependable and cost-efficient cameras and feeders. With the A-5 Gen 2 model, the company has launched the most-talked about an entry-level camera that is more appealing to the novice and the intermediate. The highly-experienced enthusiasts may be dissuaded by the easy-to-use control panel and the user interface. The fact is that the company has vowed to provide the unmatched simplicity in their products. Essentially, you can maneuver the camera configurations without needing the manual. Although it may be viewed as entry-level by many, it provides a sterling performance in its price range. Many high-end performance game cameras will surely break your bank. For the budget-confined hunters and scouts, look no further than this amazing camera with a rugged and portable design. In case you’ve been searching for the most affordable camera in vain, we’ve come to your rescue with this review. Keep reading to unfold a myriad of features of this Game Spy A-5 camera. 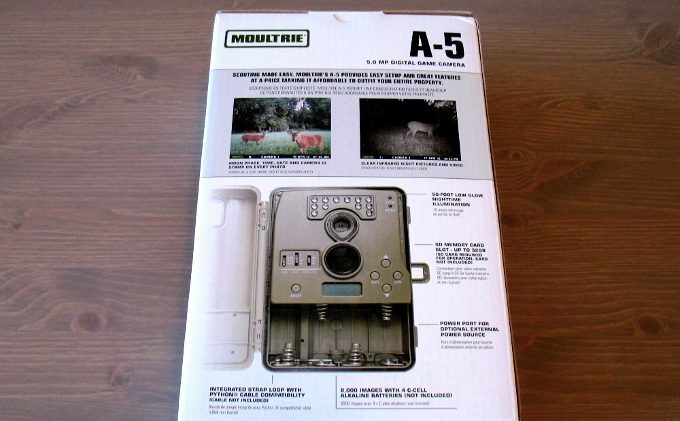 In your package, you will find the Moultrie Game Spy A-5 camera which is ready to function upon inserting the 8 AA batteries and the optional microSD card for the storage of game images. The product has dimensions of 5.9 x 2.3 x 7.2 inches with a weight of 13.6 ounces. Please note that the batteries and the microSD are sold separately. There is a power port whereby you can make use of the external power supply as well. The company has not mentioned anything about providing the case for storing the camera. We, therefore, assume that you will have to purchase one separately to store your camera for the next travel. Because the camera is to be mounted on a tree with its straps, if there’s no tree in the location wherein you want to use it, then you will have to bring the tripod. Design wise, the Moultrie Game Spy A-5 Gen 2 Camera, emerges as the victory holder compared to similar products in its price range. For such a lower price, you will get a rugged camouflaged design with a durable single frame that is second-to-none. The design withstands the inclement temperatures in the outdoors. Remember that the camera is to be mounted on a tree and left there to capture the wildlife or enemies. So, it could rain at any time. A weak design will lead to the destruction of the camera. 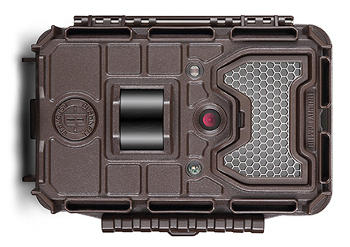 Moultrie has a sturdy and rugged design that offsets such anticipated inconveniences. There are unique mounting straps that secure the camera to the tree. These straps will slide into the eyelets on either side to fasten it to the tree. Its light weight allows you to mount it higher on a tree, provided you do not affect its long range of detection or flash. The exterior design of this camera has a door and a latch that encloses the vital components to shield them from outdoor elements such as the rain. The batteries, LEDs, sensors, buttons and other components are accessible by opening the robust door and latch system. The latch compresses the door tightly. The other noticeable design is the 12 LEDs included, with 6 on each side to increase the surrounding lights in order to reduce suspicion from the targeted animals and to spot them with ease. There is a power port whereby an external power supply or solar panels can be connected. The selling point of this camera is its capability to give the hunter what he needs. From the impressive 5 megapixels with the VGA resolution of 640 x 480 for videos to the 50 feet flash range and the 40 feet detection range, this is a superb average performance not to be overlooked. The 5MP camera can give you a clear image with an impressive quality during the night and the day. There is a long 850nm infrared technology range that will make nighttime visibility a breeze. For a record, the predecessor to this model has a delay of about a minute. Now the camera speed has been improved to a reduced delay of a mere 10 seconds. There are 4 delay settings and 10 seconds delay is the lowest. To change the delays, simply open the door and access the switch in the rugged body. Do not forget to set the date and time as well. You also have the option of 3-image multi-shot and single image shot. The trigger speed is an incredible 1.5 seconds. And to increase lighting in the precinct of the camera, there are 12 LEDs that will be beneficial more in the night. The lenses are of high quality to deliver crystal and crisp images of your target. The camera needs the 12V of AC and 8AA batteries to capture as much as 16000 images before the batteries get depleted. This is the feature that makes this camera a preference of many people. 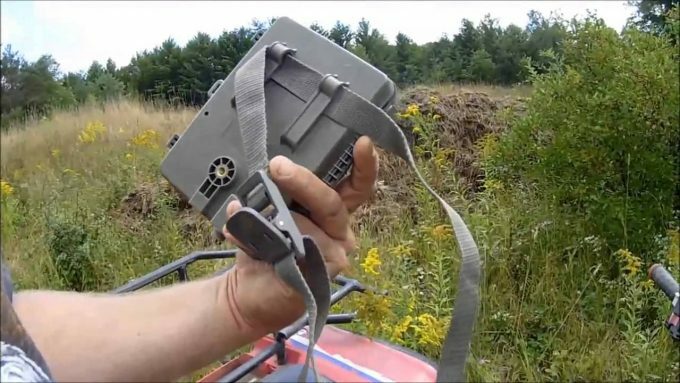 Using this Moultrie Spy A-5 is an absolute breeze.It is easy to configure. Even a 10 year can maneuver the configurations. Once set, you will not see any need to open the door again. The longest battery life is also a great selling point of this camera. 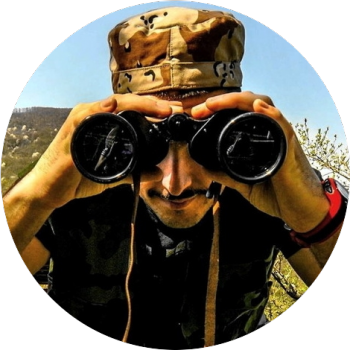 Spying on your enemy or hunting for the wildlife needs a camera that will last a long time and capture many photos. The company has employed the use of 8 AA alkaline batteries in this model that gives you the ability to capture over 16000 images before they need to be recharged. Purchasing extra batteries will give you even double that number.For more power and a durable battery life, you have the option to use the lithium batteries. C cell batteries have been used in the predecessor model, and have provided over 8000 images before depletion. That is half what the AA alkaline batteries actually offers. 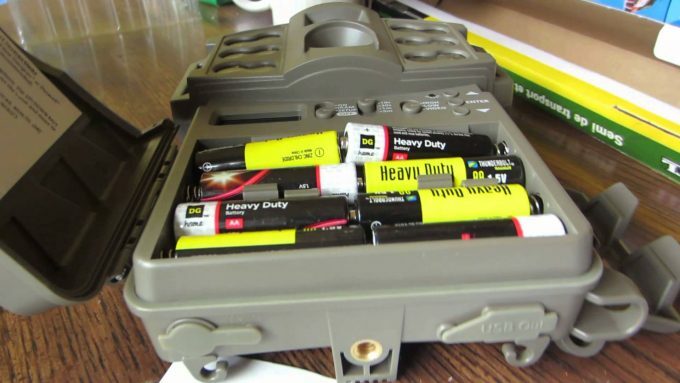 Surely outdoor enthusiasts will hate changing the batteries too often. 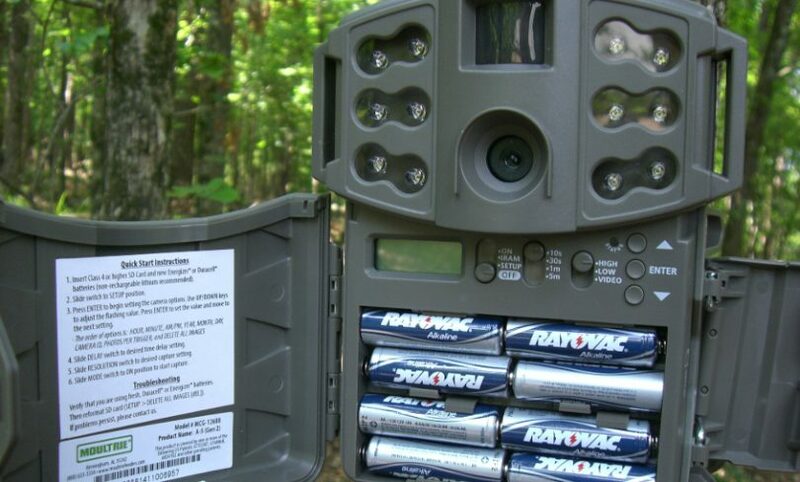 Moultrie offers the best feature and convenience in this field of longer battery life.Hunters or homeowners requiring a lengthy time to spot their targets and monitor their movements can consider having extra batteries. This will extend your camera’s operations. The port on the design allows you to connect the solar panels or other external power supplies. 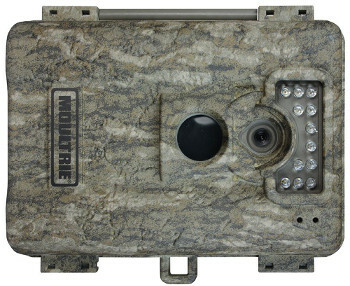 Characterizing this Moultrie Spy Game camera is an unrivaled simplicity that makes it the first choice for beginners and the intermediate users. Although touted as the improvement from the previous models, the user interface remains the best and the easiest to use. The control panel is also easy. Configuring this camera upon unboxing, all you need is to insert your microSD camera so that it can record images and also insert the AA alkaline batteries. Other settings can be configured by opening the tiny door that houses all the components to protect them from the elements.You do not need to be an expert in cameras to use this tool. That’s why it recommended more for entry-level users than the highly experienced ones. 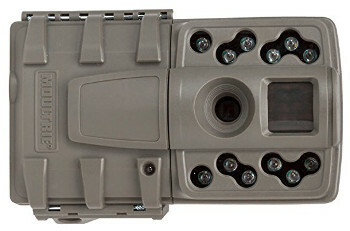 The noticeable unique features of this camera include its rugged door-and-latch system that gives you access to the vital components to configure their settings. The other purpose of this system is to provide weatherproof properties. Whenever it rains, water will just roll without affecting or damaging the batteries and the sensors in the camera. Improved camera speed with a reduced delay of about 10 seconds and a trigger speed of 1.5 seconds are also unique features. In fact, there are delay options that you can change with the simple switch button in the camera.There is also a longer range of the infrared illuminator that helps mostly at night and a 50 feet flash range and the 40 feet detection range. With such features, your hunting and scouting needs will be accomplished. Also, take note of the powerful 8AA alkaline batteries with which you can capture 16000 images before they get depleted. The user has the option to use external power supplies through the integrated power port. A longer battery life is an intriguing feature.Did we mention the mounting straps? The camera can be mounted with ease using the mounting straps that can be inserted in the eyelets on either side of the camera. 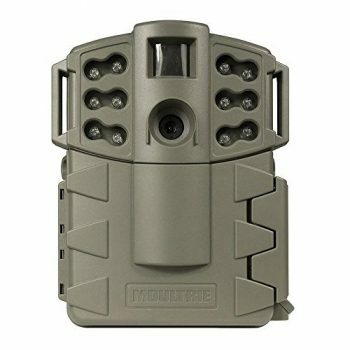 For less than $200, you can find yourself the Moultrie Game Spy camera with the memory card and the recommended/required AA alkaline batteries. It is the best value for money. It is quite a cheap price to have this amazing camera in line with its features. Those that are within a budget, this camera is for you. The company offers a standard 1-year warranty for the camera. In case you experience a problem, contact the manufacturer and alert them. They will gladly fix the product as long as it is within their warranty.Moultrie is a renowned brand that endeavors to entice its customers. When purchasing on Amazon, the 3-months dissatisfaction period applies, whereby you can return within 90 days in case you are not satisfied. Moultrie has yet another product that is engineered for the experienced and for those seeking extra performance in delivering images of premium quality. 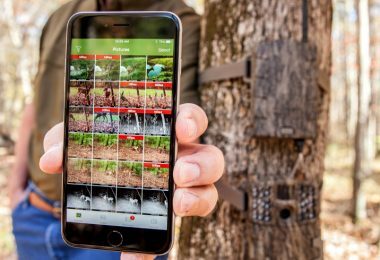 The Moultrie A-20 Mini Game Camera delivers a 12-megapixel resolution of images, which is way better than the A-5 Gen 2 game camera. The camera will be able to capture more details with its higher resolution and a trigger speed of less than 1 second compared to the 1.5 seconds of trigger speed of the A-5 gen 2. The long-range 850nm infrared technology is the same. The same thing applies to the flash range of 50 feet. These features will enable you to view targets at a long range of 40 feet, especially in the night. The downside could be the video of resolution 480px with no audio. The exterior design is equally rugged and weatherproof. So, there is no worry about the precipitation in the wilderness. You can simply mount the camera on the tree using the separately sold Python lock cables or the included nylon straps. To deliver more light at night, this camera comes with 32 LEDs to illuminate up to 50 feet. Note that more LEDs can drain the batteries. So, we urge you to consider the powerful lithium batteries. 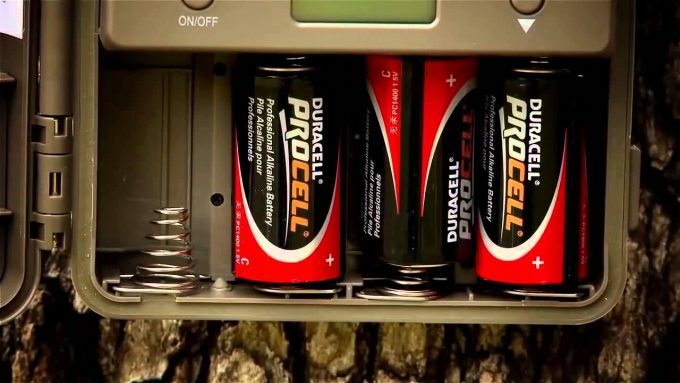 Stay away from the C cell batteries. For storage purposes, the camera can support up to 32 GB expandable memory. The SD/SDHC Class 4 cards can be purchased separately. The camera is also characterized by the multi-shot and single-image modes which offer the best customizability. The 12V DC or AC external power supply can also be used in this 15.2-ounces camera. This camera is nearer in performance to the Gen 2 A-5 spy camera produced by the same company. Starting with the 5MP camera, they are the same. It also comes with the 50 feet nighttime AKA flash range and an 850nm infrared long-range technology. Also noteworthy are the picture delay options that include 10 seconds, 30 seconds, 1 minute and 5 minutes. Moultrie A5 Low Glow Game Camera is, however, powered by 4 C-cell batteries that are not powerful enough compared to the 8AA alkaline batteries or lithium batteries. These 4 C-cell batteries enable the camera to capture 8000 images prior to exchanging them when they run low. There is a memory card slot where you can insert up to 32 GB microSD that is sold separately. And when mounting this camera on a tree, you can tighten with the included straps on the integrated strap loop or with the Python cable, sold separately. Comparing the Moultrie A5 Low Glow with the Gen 2 A-5 game Camera, the Gen 2 supersedes with its powerful batteries and an advanced technology. This is actually a predecessor of the Gen 2 A-5 Spy camera from Moultrie. Nonetheless, it still offers the best deal of features too. It is light weight with 1.4 pounds. This is the competitor from a different company, Bushnell. At first glance, the Bushnell Trophy Cam appears to be the winning competitor that comes with sophisticated features that include the 720p video resolution and the 3, 8 or 12MP camera resolutions. These are high-end features not found in the Gen 2 Spy A-5 camera as justified by the higher price of about $100 just for the camera excluding the accessories. The infrared flash range is 80 feet, versus the 50 feet of the Moultrie. Bushnell has invested a lot to offer hunters and scouts a longer range to spot their targets with ease. The trigger speed is also magnificently faster at 0.3 seconds. The images can be adjusted per trigger. There is night and day automatic sensor as well as the adjustable PIR from low, med to high. There is the multi-image mode whereby you can capture 1-3 images per trigger. The Moultrie also has this feature. The video length is programmable from 5 seconds to 60 seconds. Even the trigger interval can be programmable from 1 second to an hour. The camera is usable in harsh temperatures with a range of -5 degrees F to 140 degrees F. Meanwhile the batteries are more powerful, that they can last for a year before changing them as stated by the manufacturer. The microSD can be inserted (sold separately). 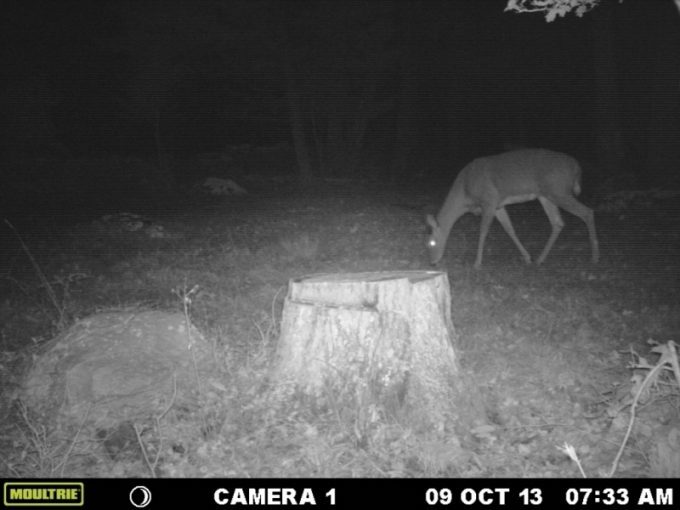 Enthusiasts who have outgrown the Moultrie Gen 2 A-5 Game camera can upgrade to this camera. It offers better camera features and resolution. But you have got to tolerate the price range as well. 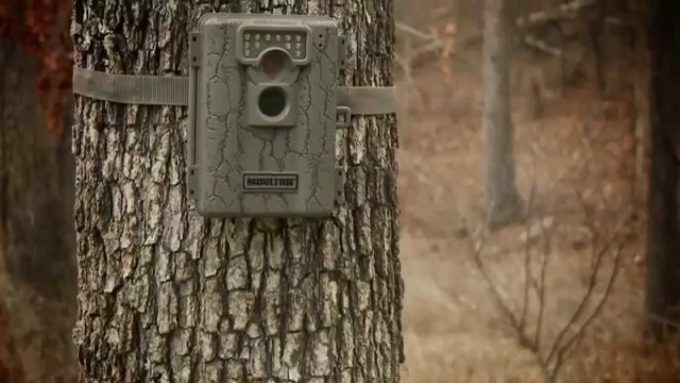 With Moultrie Game A-5 digital trail camera, the company has made the best product for outdoor enthusiasts who strive to stay low on a budget yet still enjoy the impressive camera features. The camera and the video resolution are not high-end but still deliver great images in their price range. 5 megapixels are enough to give you quality images at a detection range of 40 feet and flash range of 50 feet to capture easily at night. What is also enticing is the improved camera speed with a trigger speed of 1.5 seconds from the predecessor. The latency is also reduced to 10 seconds. Users have the option to configure the settings to their preferred delay option. Other settings can also be configured through the door-and-latch system. The camera’s rugged design is weatherproof, so you should not worry about the rain destroying the vital components such as the batteries and the sensors. To start using the camera, you have to purchase the 8 AA alkaline batteries. These batteries are capable of delivering 16000 images before needing an exchange. This is an improvement from the C-cell batteries. And when attaching the camera to the tree, there are mounting straps that can be inserted through the eyelets on either side of the camera. 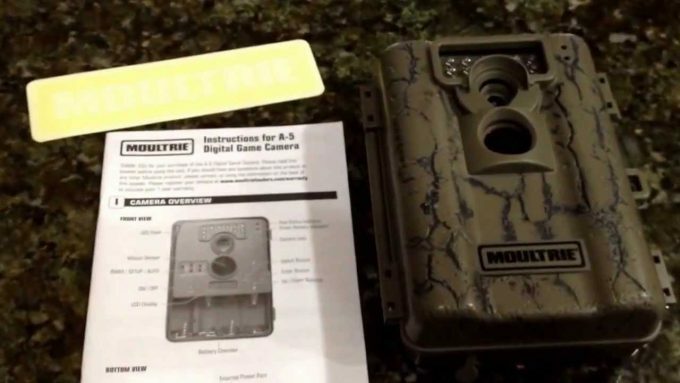 Moultrie Game A-5 Spy camera is the best tool for your hunting needs. It is within budget and delivers impressive details. The camera is suitable for beginners and the intermediate hunters or scouts. 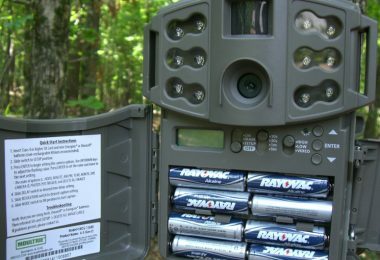 Homeowners would also love to have this camera to monitor their properties to see if critters are frequenting them. 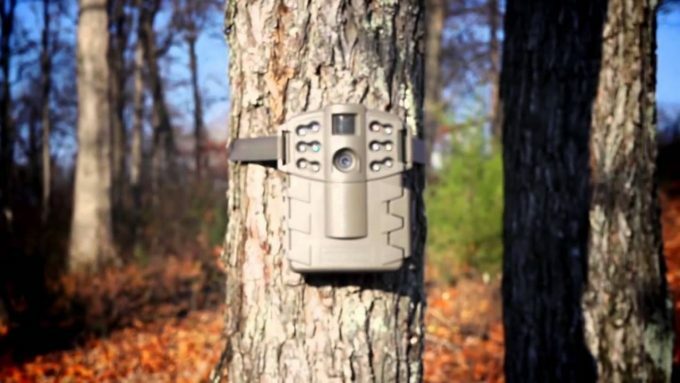 The camera’s compact and rugged design makes it possible to mount to any tree in close proximity to your targets. We have played our part in providing you the best features that this camera offers. We have realized that many high-end cameras are quite expensive, and thus those with the low-budget have struggled to procure them. This camera is impressive and affordable. From camera, batteries and user interface, the Moultrie Gen 2 A-5 camera is an ideal choice for outdoor users. The camera was improved from the ground up to outsmart its predecessor with, among others, improved camera speed and extended battery life. An example is seen in the ability to capture 16000 images with the 8 AA alkaline batteries compared 8000 images with the C-cell batteries. The detection, 850nm infrared technology, and the flash range are still the same, but more functional. Have you ever used this camera before? Please share with us your experiences below.